When we die, we all have a couple options: we can be buried, cremated, or we can opt to donate our bodies to science. 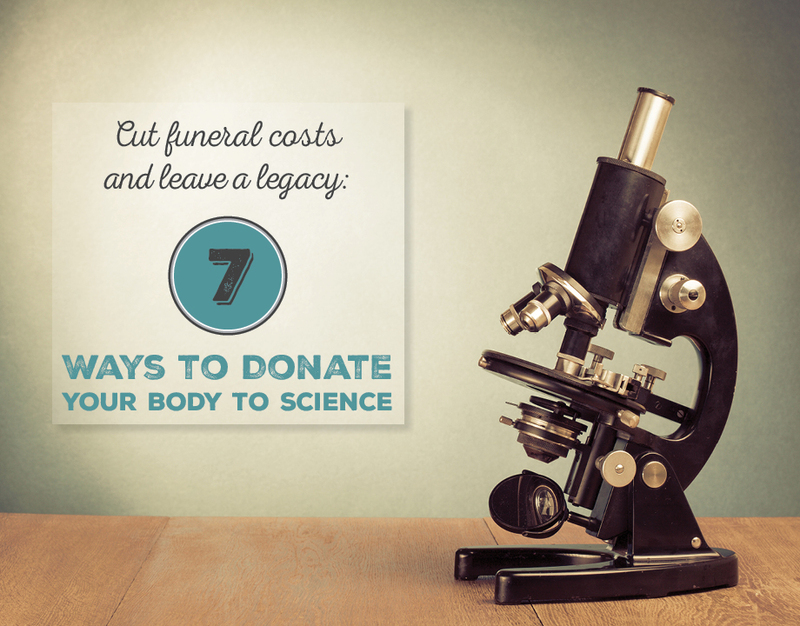 While this decision might take some time to wrap your head around, we’ve put together 7 potential organizations that you can donate your body to. If any of these missions align with your values and passions, you might just get the best of both worlds – a lasting legacy and a much cheaper funeral. Science Care partners with a nationwide network of lab facilities to work on medical research using donated bodies. In sum, Science Care handles the entire donation process, from that first call upon death to the transporting of the body. Science Care basically links body donors with medical researchers and educators so that you don’t have to worry about the details. With the body donations, researchers are able to work towards saving future lives, advancing medical research, and improving quality of life for families and the community. These researchers are working to study complex medical conditions like heart disease, diabetes, HIV, cancer, and Alzheimer’s. Science Care is a no-cost program, which means that when you donate your body, Science Care covers all the costs. After 3-5 weeks, they will send any cremated remains to the family. If medical advancement and research is near and dear to your heart, Science Care might be an organization to consider when making funeral planning decisions. Nearly every university has a whole body donor program, which is also called a willed body program. In Illinois, The Anatomical Gift Association handles the willed body donor program for the medical, research, and educational institutions in the state. The AGA does all the behind-the-scenes work, such as receiving, preparing, and distributing the donation. The remains are mainly used to aid in training thousands of medical students and allied health professionals. Medical students get to learn through the dissection of cadavers, which is a crucial part of medical education. The AGA doesn’t charge for its services, but you are responsible for the expense of transporting the body from the place of death to the AGA, and transportation costs can be pretty expensive. However, even if you factor in the cost of transportation, you will still likely save a good chunk of money compared to the cost of a traditional burial or cremation. Have you ever wondered how forensic medical examiners and pathologists can tell how long a person has been dead? What about how that person may have died? Thanks to body farms, we can finally answer questions such as these. Body farms are basically areas of land where human decomposition is studied. Scientists and researchers place the donors strategically so that they can see how the environment, trauma, and human skeletal variation affects how we decompose. While there are now several of these body farms, one of the most popular is the Forensic Anthropology Center at the University of Tennessee Knoxville. They receive about 100 body donations per year. All of the costs associated with the donation of your body are covered except for the transportation of your body to the facility. Just like the other body farm, all transportation costs are the responsibility of the donor or his/her Next of Kin. Similar to Science Care, Medcure uses whole body donations to advance medical knowledge. Doctors and researchers use these donations to inform future treatments for serious medical conditions. Medcure covers all expenses related to the donation process, including transportation, cremation, a copy of the death certificate, and the return of the cremated remains after 6-12 weeks. Medcure serves 45 states including Illinois, and they have 82,000 registered donors. If you’ve ever made your way to Bodies: The Exhibition in Las Vegas or perhaps even Plastinarium in Guben, Germany, perhaps you’ve thought about where those bodies come from. Those bodies have been donated and preserved using a plastination process. The process replaces bodily fluids and fat with plastic that hardens. The bodies are fixed into lifelike poses and are further hardened with gas, heat, or light. This shows how our bodies respond internally to everyday life movements. The body donation program is currently managed by the Institute for Plastination in Heidelberg, Germany. They are currently not accepting new donations as they are at capacity, but you’re encouraged to check back in as time progresses. If you have an interest in physician education, surgical training, device research and development, and drug research and development, the United Tissue Network might be the organization to consider. Don’t worry – you can still donate your organs. United Tissue Network would simply utilize the rest of your body after any organ donations and transplants are made. The costs for this method of donation are lower than others, as transportation to a UTN facility is covered along with 2 certified death certificates and the cremation fees. There is a worldwide tissue shortage, so every body that is willed to the United Tissue Network is truly needed. Similar to Science Care and MedCure, BioGift handles the process of donating your body to science by finding the institution in the U.S. that could use your donation the most. BioGift itself does not perform any medical research or education – they simply help people by recovering, processing, and distributing their organs, tissue, and specimens to the proper place. 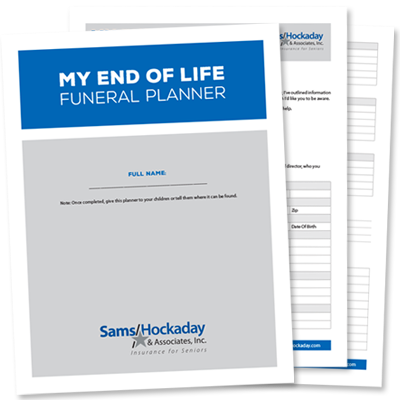 All costs are covered, including cremation, transportation, and death certificates. After 8-12 weeks, the cremated remains are returned to the family. If you do live in the state of Illinois, donating your body to The Anatomical Gift Association may be the best option as it’s local and makes a difference in our area. Plus, compared to some of the other options that don’t cover transportation costs, those costs may be less since the distance won’t be quite as far. 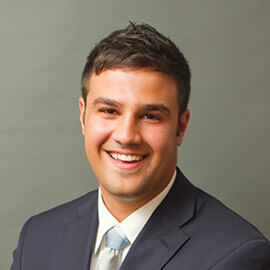 To pledge your body to the AGA, simply visit the following page and fill out the two forms: http://agaillinois.org/process.htm. As you can see, there are many options and choices when it comes to donating your body. All of these choices certainly give your life a lasting purpose, even after you’ve passed. The bonus? The cost of your death is much cheaper, and sometimes, it’s even free.